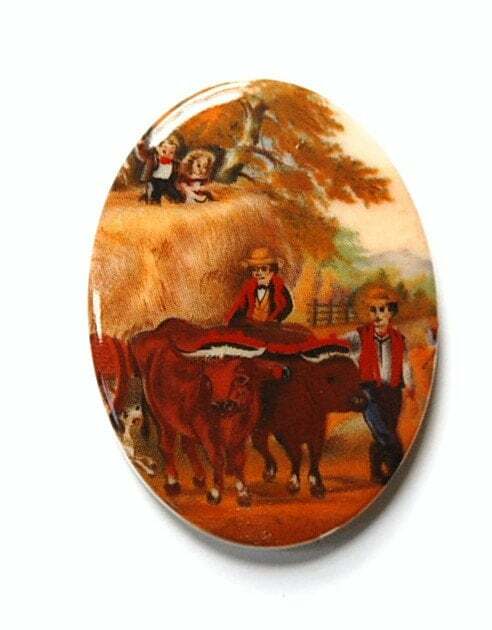 This is a vintage cameo or cabochon that was made in Germany. It features a wagon of hay being pulled by ox with fall looking foliage around it. The back is flat. This measures 40mm x 30mm. You will receive one piece.